It’s easy to become discouraged when you hear the garbled nonsense your zombie spews. (I’m looking at you, Mostly As and Bs. Not sure which “mostly” you are: As, Bs, Cs or Ds? Take our “Your Zombie Said Wha…?” quiz to find out!) But learning to decipher zombese is not as tricky as you think. Simply refine your ear to become more in tune with the subtle differences in pronunciation. March’s system is easy, reliable and guaranteed to bring you and your boyzomb closer together. Nothing fosters intimacy like conversation! But it only works with zombies who have sufficient mouth architecture. If you are dependent on visual cues for understanding, think carefully before entering a relationship with a zombie whose lips and tongue have rotted away. Practice is key to any successful endeavor, so study the glossary below and commit the words to memory. Then get chatting! We’ve all been there—at the snack counter at the movie theater and you turn to your zombie date and ask if he wants a little something brainy to munch on during the film and he says, “Argh gaw.” Or was that “Gargh yaw”? Maybe “Argh yaw”? “Gargh gaw”? The movie starts. The opening credits roll. You stand there baffled. The truth is, yes, zombies, with their undifferentiated vowels and all those glottal stops, are hard to understand. But it doesn’t have to be impossible. First, take this quiz to find out how much you have to learn. Then come back tomorrow for tips on how to improve your comprehension. You and your boyzomb will be bantering like Hepburn and Tracy in no time! c) Is this a tow-away zone? c) Is alternate side of the street parking in effect? c) Do you have change for the meter? d) I want to dance. c) Is this permit parking only? d) I want to watch football. c) How can I appeal a ticket? Like most women on the planet, you’ve written off the various moans and groans of the zombie as, well, various moans and groans. No need to be embarrassed. It’s perfectly natural to assume a groan is a groan is a groan. The zombie language is unsophisticated but it exists. Unlike our mostly-As friends, you’re willing to give zombies the benefit of the doubt. Sure, they’re not capable of communicating with humans, but they can converse with others of their own species subcategory. What they’re actually saying to each other doesn’t matter so much as they have the ability to say it. Like two dogs barking at each other, zombies know what they need to know and not an iota of information more. Congratulations! You understand the sophistication of zombie language even if you’ve overestimated the substance of it. Yes, zombies are fond of cars and enjoy attacking them as frequently as possible (perhaps because they think they’ve got tasty rhino brains inside, as some zombologists have suggested). But their love of automobiles stops short of dissecting parking rules. But perhaps that’s only for now. New zombaceuticals improve zombie accomplishments daily. Hello, savvy woman. Nothing gets by you. You might not be hip to all the ins and outs of zombese, but you know something significant is going on. And go, you, for keeping your expectations in line with reality. With their guttural grunts and groans, zombies are indeed expressing basic needs. Tuning into the subtleties of their language will help you communicate your needs as well. Tomorrow, all you need to create a harmonious relationship with your cutie-pazoombie. As anyone who has seen a zombie get mowed down by a bus during rush hour knows (and, honestly, who hasn’t? ), their coordination and sense of awareness leave a lot to be desired. And crossing the street is the least of it. During the average day, a zombie runs into 16.35 occasions of potential extinction, according to new research from the Zombie LifeWorth Network. Make his existence at home a little safer with these easy fixes. Go un naturel. We all know there’s nothing more romantic than dinner by candlelight, but a charred zombie hardly makes for a pleasant dining companion. The smell of burnt putrified flesh can make even the most pungent coq au vin unappetizing. Protect your zombie from the irresistable lure of fire (“Ooh, bright, shiny, flickering. Me want to cuddle.”*) by using only electric lights. Neither one of you will be particularly complimented by the harsh glow of fluorescent bulbs but you won’t be flambéed—and that’s a good look for everyone! Step away. A zombie’s focused, straight-ahead stare, although flattering when you’re wearing a particularly lovely new dress, can be deadly when stairs are involved. Zombies never look down, which means they frequently fall down stairwells and shaftways and over the sides of cliffs. You can’t protect your boyzomb from all the hazards of modern life, but a zombie gate at the top of the staircase can go a long way toward ensuring he remains unharmed in the home. Buy a gate specifically designed for zombies, such as ZafetyFurst’s One_Press Peace of Mind Gate ($39.99); it opens easily and with little fuss. Gates designed to keep out babies and toddlers often have complicated latches. Your zombie isn’t as smart as a 1-year-old, so there’s no reason to treat him like one! Take the high ground. Zombie-proofing isn’t about protecting only your zombie from harm; it ‘s also about protecting your favorite things. A zombie’s lumbering gait might be great for stomping grapes into wine, but it can spell disaster for your fine antiques. Store all objects of emotional or financial value on the top shelf. To gauge if the shelf is high enough, compare it to the shoulders of your zombie. If it clears them by two inches, you’re fine. Typically, a zombie won’t reach up for your grandma’s beloved Ming vase unless it’s coated with animal brains. Make sure all bookshelves, display stands and cabinets are sturdy. Look for ones rated 3 zombforce; furniture with a 3 zombforce rating can withstand the weight of three zombies knocking into it at the same time. Zombie-proofing might seem like a drag, but it’s easy once you put your mind to it. Just follow these simple steps and you’ll be set for life—your zombie’s life, that is! * Simulated zombie thought only. Actual zombie thought not yet determined to exist. Zombies! They’re seemingly everywhere we look—roaming our streets, roving our parks, meandering through our restaurants—and yet most of us don’t have a clue how to meet one. Don’t despair! Finding a boyzomb is a lot easier than you think, and in this new, four-part series, I tell you exactly what to do. In each post, I discuss a different method in detail and provide the steps you need to get started. Not sure which method is right for you? No problem. Simply read the “best suited for” column below and think about what you’re looking for in a relationship. 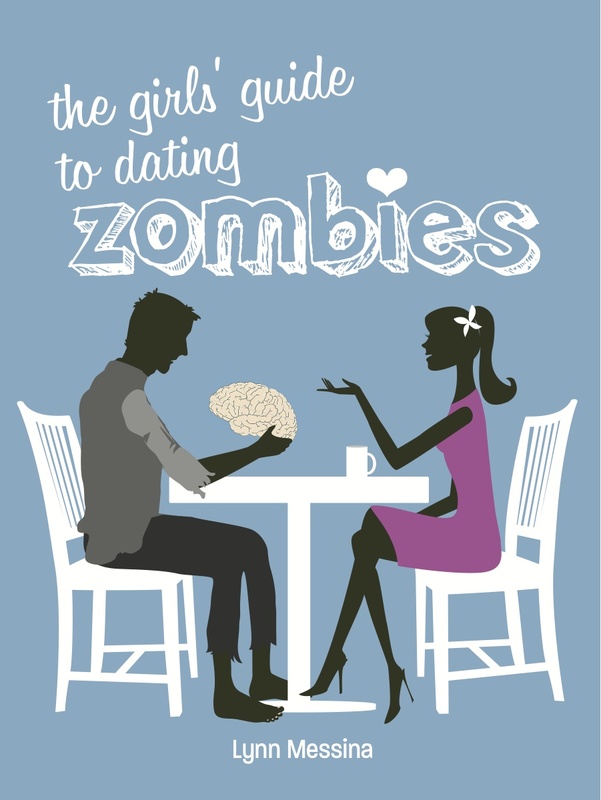 Then go out and nab the zombie boyfriend of your dreams! What it entails: Culling a zombie from the herd requires traveling by train to the wilds of suburbia and finding a completely unmedicated zombie to bring back to the city and domesticate. Tracking down a herd of untamed zombies is easy; they tend to stick to the vacant aisles of big box strip mall stores and the empty streets of abandoned housing developments. Once you locate the herd, pick the zombie that seems the most well preserved and lure him away with a package of Mrs. Yummikin’s Prepackaged Preseasoned Cat’s Brains. The advantages: The biggest advantage to an unmedicated zombie is price. It is your cheapest option by far, setting you back only the price of a train ticket to suburbia. (Savvy girl tip: Zombies travel free on Tuesdays.) Untamed zombies tend to congregate near the city walls, so you don’t have to go deep into the wilderness. For example, if you live in New York City, you do not have to travel all the way out to the Hamptons or even the Suffolk County border. A short trip to Floral Park on Long Island, White Plains in Westchester or Englewood Cliffs in New Jersey is sufficient. The disadvantages: Unfortunately, culling from the herd is not for the faint of heart. Although it’s true that suburbanites no longer shoot urban dwellers on sight, they are still hostile to city folks and will not invite you into their illegal squats for tea or point you in the direction of the nearest Wal-Mart. Don’t worry. All you need to protect yourself is a declaration-of-intent sign from your local pharmacy or bodega. The poster board clearly states that you are happy in the city and will not move back to the suburbs. As it has been five years since the Provisional Government Authority revoked the Abundance and Scarcity Reallocation Act, most suburbanites are slowly beginning to realize that their illegally seized land isn’t about to be illegally seized by refugees fleeing from the city. In a few more years, traveling to the suburbs will be completely safe. Domesticating an untamed zombie requires effort, patience and diligence. A roamer has had no exposure at all to medication and as such has a entirely unregulated diet. It feeds whenever it wants on whatever animal it can scavenge. Medicating that instinct out of the zombie takes four to six weeks, during which time you will have to keep constant watch over your zombie. If he eats a neighbor’s pet or hunts outside state-mandated dining hours, you are subject to a $500 fine and a maximum penalty of five days in jail. One of the biggest disadvantages to culling the herd is purely aesthetic. The putrefaction level in untreated zombies is usually quite severe. Most wild zombies have lost at least one limb, one facial feature and several layers of skin. Start an immediate course of drugs to slow down decay, neutralize the smell and firm skin. Conclusion: Culling the herd is the perfect way to find a boyzomb for the woman who has more time than money and eschews easy achievement for the personal satisfaction of hard-won accomplishment. Culling the herd is for the woman who can do anything and isn’t afraid to prove it.